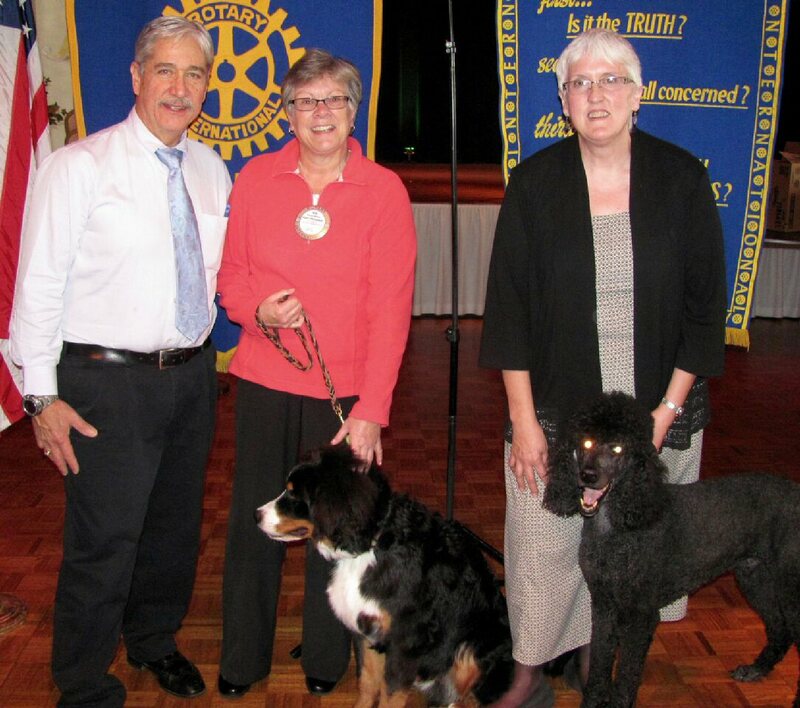 OSWEGO – Joan Meyers, director of the developing certified occupational therapy assistant program at Cayuga Community College, was a recent guest of past president Sue Witmer of the Oswego Rotary club. 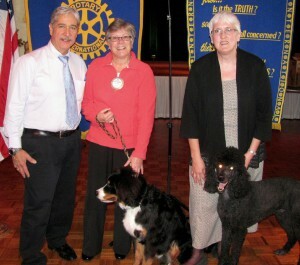 Pictured are club president Richard Tesoriero, Sue Witmer with Oz a Bernese Mountain dog and Joan Meyers with Carson a Standard Poodle. Meyers has been combining therapeutic use of her dogs in her practice as an occupational therapist for the past 19 years. Her dogs make regular visits to campus to help relieve stress in students and staff.